← Chicken Cacciatore – home from vacation! After my happy return to cooking this past Friday, I promptly got sick with a bad bout of intestinal misery. Needless to say I did not do much eating. I am pretty much better now and back in the kitchen. I think Santa approves of my foray back into eating. Although turkey loaf can never replace meatloaf, this is a pretty good try. The secret is to use plenty of mushrooms that you have whizzed up in your food processor and then cooked until all the water has steamed off. Turkey loaf also needs a lot of seasoning. In addition to salt, I also used Worcestershire sauce and my favorite flavor fixer, fish sauce. I made a couple of cups worth of brown rice using the oven method. There’s not much to say about the zucchini but John liked the results. 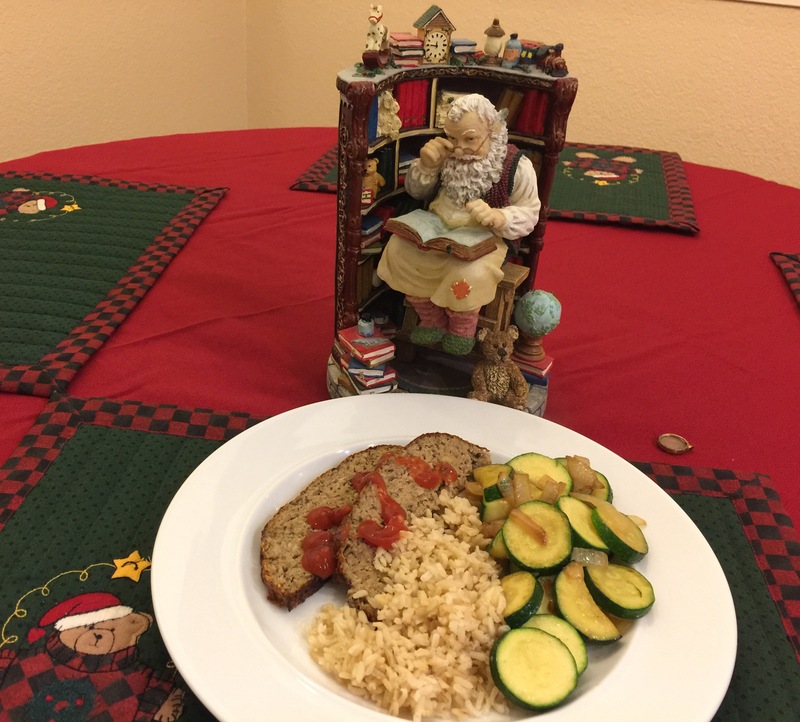 This entry was posted in Poultry, rice, Vegetables and tagged brown rice, ground turkey, zucchini. Bookmark the permalink.